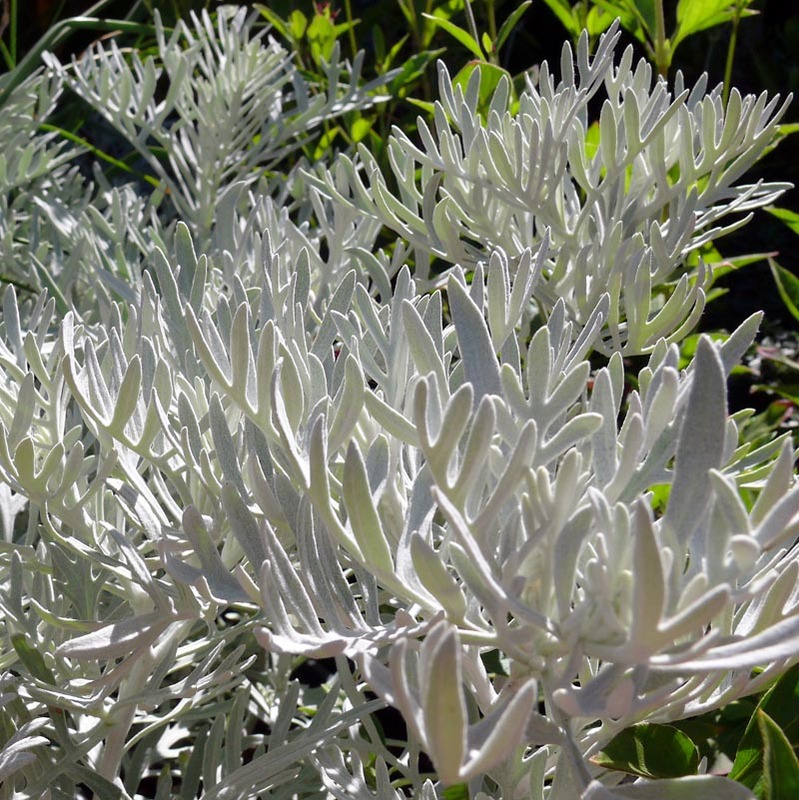 Gorgeous serrated silver leaves. 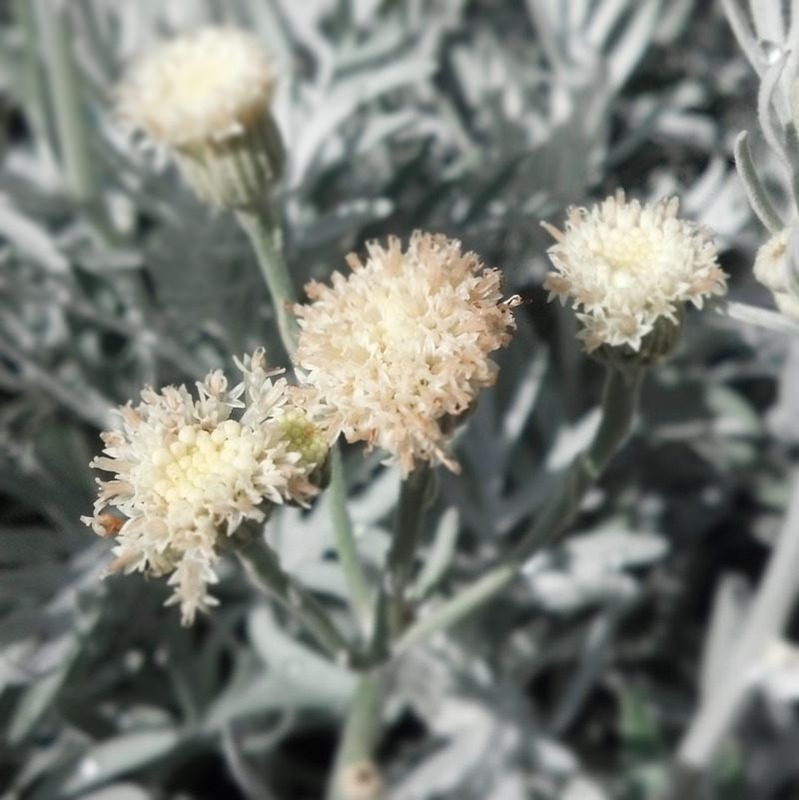 Cream-colored blooms. 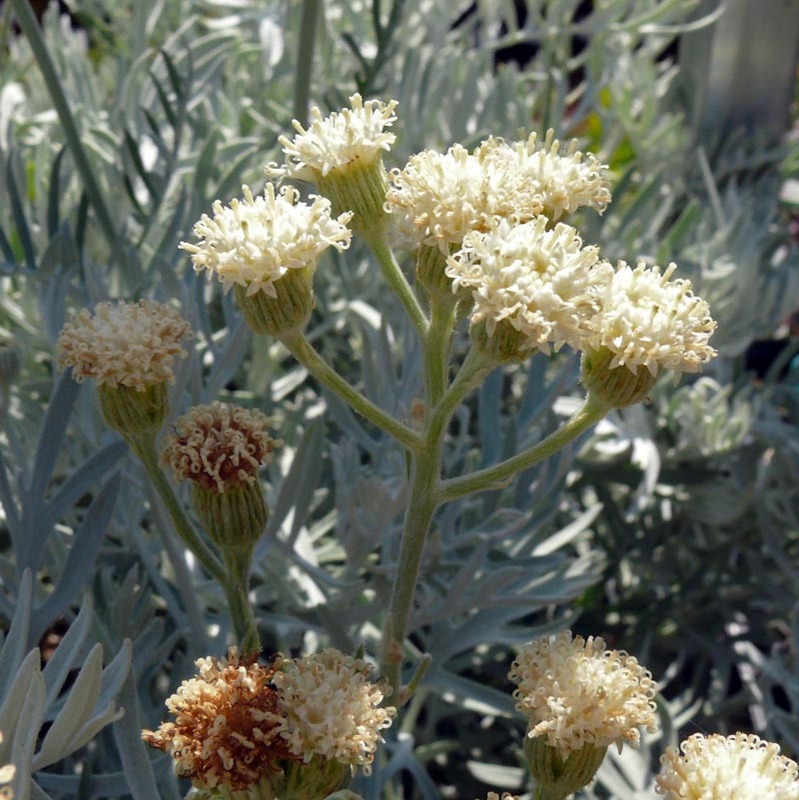 Cut off blooms to create a denser foliage. Very drought tolerant.